Microsoft released its fourth "platform preview" of Internet Explorer 10 today, adding a collection of new features to what's shaping up to be a surprisingly feisty browser. "These foundational capabilities are what developers building native applications depend on: working with binary data and files, controlling selection and hit testing in application UI, and providing accessible video content with captioning," Mauceri said. But in case there's any doubt about who's the boss at Microsoft--the IE team or the Windows team--there's one telling data point that shows it's the latter. 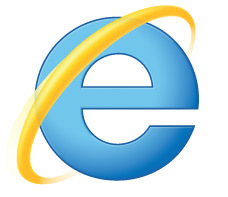 The fourth IE10 platform preview, like the impressive third, is available only in a developer's build of Windows 8. That means any developer who wants to test a Web technology with IE10 will, to at least a small degree, become a Windows 8 developer too. It's been fascinating watching Microsoft's efforts over the last few years, as it revved Internet Explorer from an embarrassing laggard toward a cutting-edge future. Always at the back of my mind, though, was the question: why? Browser maker Netscape was so scary to Microsoft in the 1990s, with its idea that the Web would become a software platform to rival Windows, that Microsoft struck back hard. Hard enough that the Justice Department ran Microsoft through the antitrust litigation ringer. Sure, it must have been painful to watch Firefox programmers steadily gain share and prove that browsers matter. But the better Web applications get, the more Microsoft stands to lose, as I saw it. Indeed, when I started using a Mac for work in earnest because my Windows machine croaked, it was Web applications that made the transition relatively painless. Most of the time, I don't care which operating system my browser is running. Well, with Windows 8, we have an answer to why Microsoft could justify all that: it's embracing the Web app platform in earnest. Windows 8's Metro user interface for Win8 uses all those Web standards. So it turns out that building a modern, competitive browser can be compatible with driving the Windows agenda too. "The features in this platform preview are available to Web pages now and will be available to Metro-style applications in Windows 8," Mauceri said. Another example of the agenda at work is the fact that IE9 is available only for Windows 7 or recent versions of Windows Vista. (IE10 will require Windows 7 or later.) If Microsoft had truly wanted to make IE competitive, it could have created a version for the legions of people still using Windows XP--albeit a version that likely would have had to have been dumbed down somewhat. Firefox, Chrome, and Opera developers all are supporting Windows XP to try to bring users of that operating system a better Web. IE9 leaving XP behind greatly simplifies its development, but it also makes it easier to put the 10-year-old Windows XP firmly in the "legacy" category, deserving attention only for major security problems. By the time Windows 8 arrives next year, Windows XP will be another year into the rear-view mirror. Eventually, IE10 platform previews will be available for a wider audience--those who don't want to brave a massive Win8 download and installation hassle. "This preview is for Windows 8, like platform preview 3," Microsoft told me in a statement. "IE10 builds for Windows 7 will resume later in the development cycle." But for now, helping the fortunes of Windows 8 clearly is the top priority.